It was very easy to install. Well made and easy to adjust water flow. 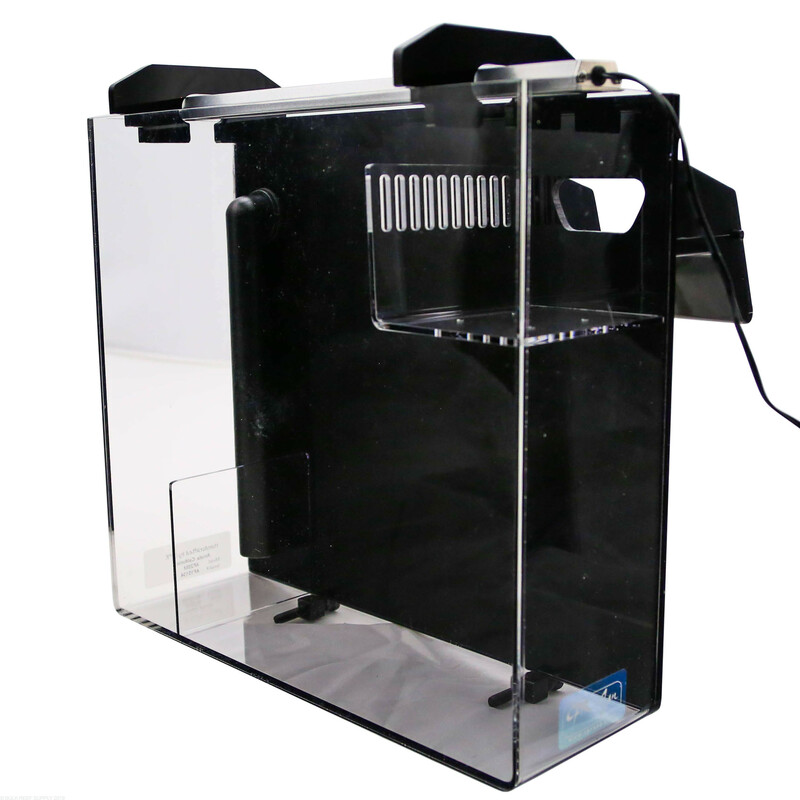 Overall this refugium does the trick and is constructed from high quality materials. My only issues are the tank mounting screws weren't long enough for my rimmed 55 gallon tank! I had to add wood inserts to tighten it securely to my tank. The only other thing I wish it had would be laser cut slots in the top rim so the brackets for the LED could rest securely in place. I don't like how they slide around and wobble, and I worry one day I'll drop my light in the water. The lines are clean. Assembly and design is quality. It sits too high to run the lights at night if it's hanging on your dt. I got this to use on my sump, but since the water level for my sump is about 7" from the top, the return created a lot of splashing. I've seen this installed on the back of a nano (15g?) to keep live food. It looked like a nice setup. I would recommend, just not as an addition to a sump. It would be cool if they included some tubing or misc fittings to run the pump from a location other than hanging from the unit. 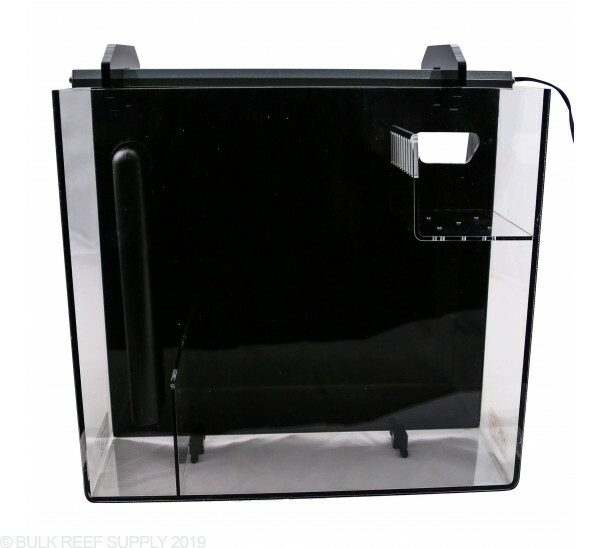 This is a great alternative to buying a bigger sump or a second one to run as a fuge i have not had a single problem with it and it is loaded with pods that don't have to go through a pump to get into my display tank. Im new to the hobby, and bulk reef supply couldn't have been more helpful. The original light that shipped with the refugium was broken so they shipped a light free of cost and I didn't even have to ship the first one back! So far I'm very happy with the product, my only complaint is that the light shines into the tank at night. It's VERY bright. Might have to figure something out to adjusts that, but otherwise great product. Fits great on a 55 gallon. This little HOB fuge is just perfect for my 37 gallon reef-to-be. I have some mud in it, along with a couple of kinds of macro for my pods to thrive in. I flick on the light at night and turn it off in the morning. Since I don't have a sump this is a great option. the mounts for the light is to tall. At night the light shines down into the main tank. I wish there was some sort of shield or the light was mounted lower to keep the light out of my main tank at night. I like it because it hangs on back and out of sight. 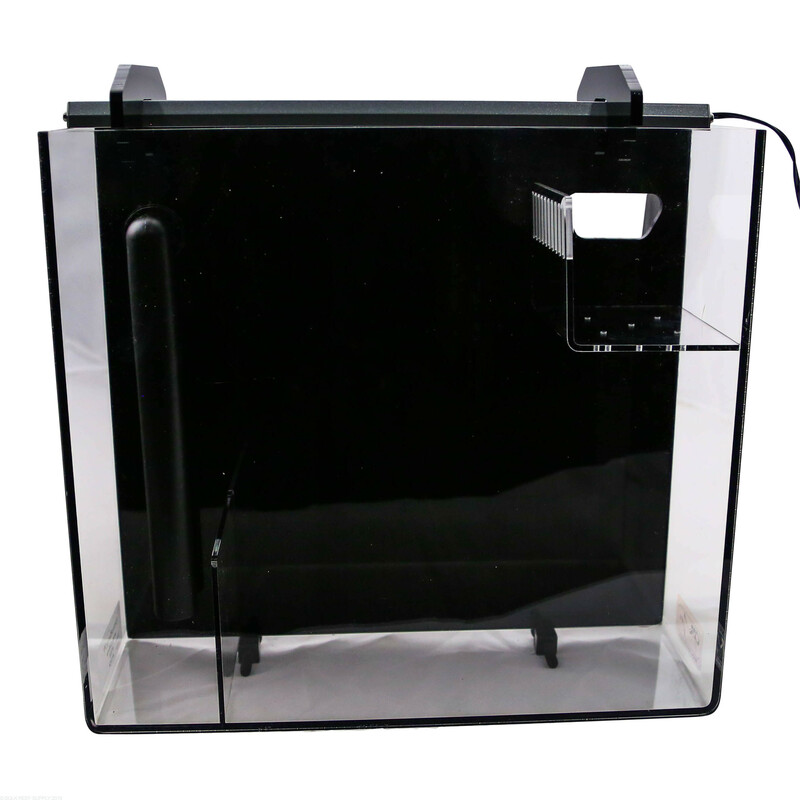 Didn't have the room under the stand or in the sump for a refugium. Great alternative when your out of space. Helps keep the water were it needs to be. Will this refugeium work for a jbj rl 45 to maintain a stable pod population? That depends a little on what you mean by a stable pod population, but as long as you have a suitable environment for pods to grow and reproduce, without any predators present, they will be able to live and maintain a population in the back refugium area. Depending on your goals for this (whether to provide a constant source of food for a micropredator such as a dragonet or simply as a small source of occasional pod food to the tank), this population may or may not be sufficient. Hey i was wondering if this will be big enough for a 34 gallon tank reef tank!!!!! 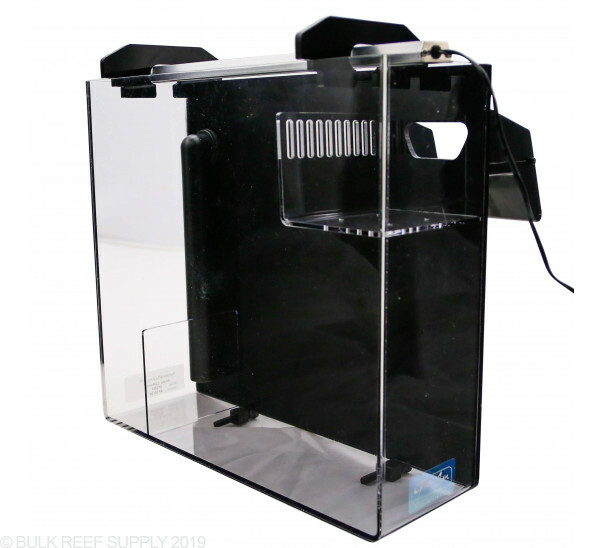 This hang on refugium should be a good fit for your tank. 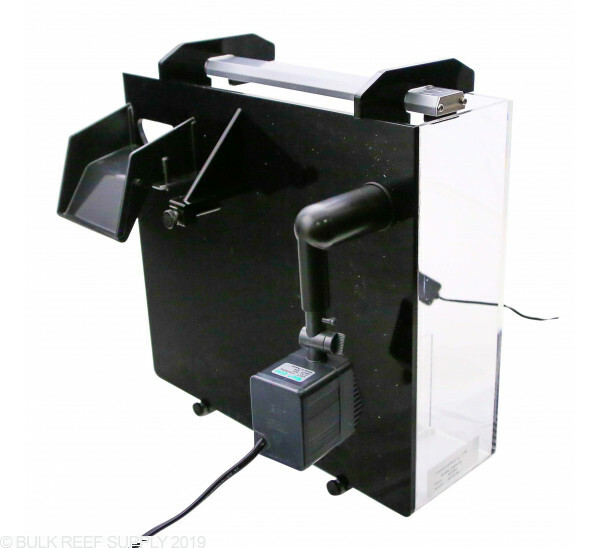 It will provide a good refuge location for a nice pod population as well as a good growing area for some macro-algae, although you may find the supplied LED light is not optimal for growing algae and if one of your main goals is nutrient removal through algae growth, a more powerful light with proper spectrum might be advantageous.